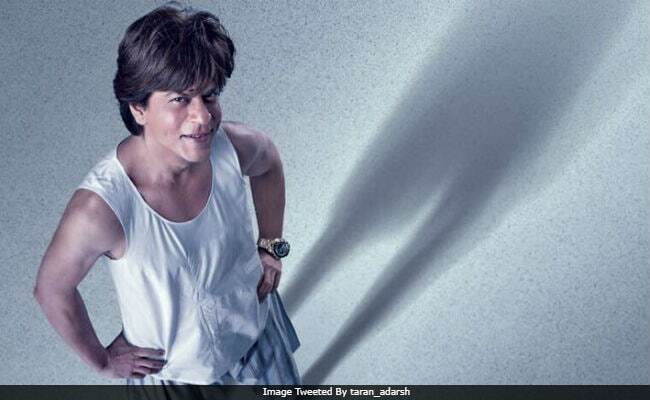 Shah Rukh Khan and Aanand L Rai revealed the title and teaser of their new film Zero just yesterday and now, here's the first poster of the film. In the picture, shared by trade analyst Taran Adarsh, SRK, who plays a dwarf, is dressed in shorts and a tux and smiles. "21st December 2018 se aapke piche," is the tagline of the poster. In the teaser, Shah Rukh Khan flaunts his dance moves in a typical tapori style and in the end says, "Hum jiske peeche lag jaate hain, uski life bana dete hain." Here's the first poster of Shah Rukh Khan's Zero. Have you watched the teaser yet? Of casting Shah Rukh in Zero, Aanand L Rai told new agency IANS: "I had no option but Khan saab because I needed an intelligent actor, who also can carry that happy-go-lucky attitude." He also explained why the team decided to title the film as Zero. "Like the way we say that perfect is boring, imperfection is much interesting... Our film is also celebrating the same. The story of the film is celebrating a perfect love story of two imperfect people. Though the protagonist of the film is a dwarf but more than the physical disability of an individual, the story talks about the space of emotional incompleteness of our life." Zero also stars Anushka Sharma and Katrina Kaif, SRK's Jab Tak Hai Jaan co-stars. Produced by Gauri Khan, Zero is slated to hit the screens on December 21.